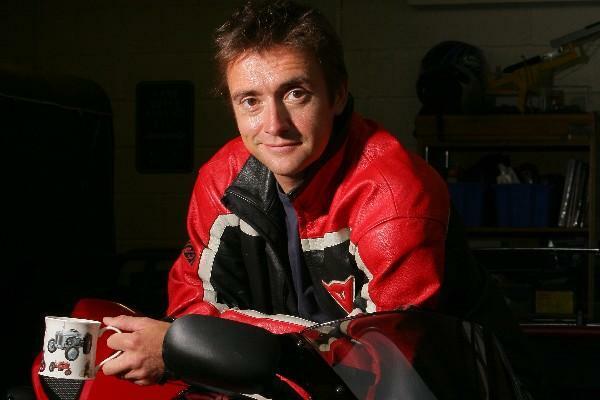 Richard Hammond has hurt himself again – this time on a horse and he says it’s a worse injury than he has ever had in 25 years of riding motorcycles. The accident happened on the day he was about to go out on a new Suzuki Hayabusa for the first time. Hammond was getting in some riding practice for a steeplechase horse event when he tipped off and wrenched one of his pelvic joints. He expects to be on crutches for the remainder of this week. Top Gear presenter Hammond hit the headlines when he was involved in a 288mph crash while driving a jet-powered drag car in 2006 for the hit television show. Hammond told MCN: “I’m very cross but should be off crutches by the end of this week. I fell off the horse the very day I had a Hayabusa delivered by Suzuki so I could test it out for a bit. It’s sat in the shed at the moment and hasn’t turned a wheel.